Goerge Lucas graduated from the University of Southern California in 1966. And now, 40 years later decided to make the school really glad they accepted him by donating $175 million dollars to the school. 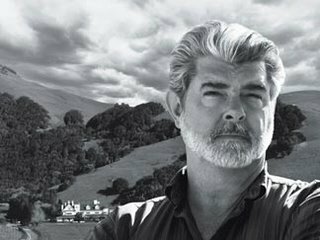 This gift from the Lucasfilm Foundation is the largest gift USC has ever received from a single contributor. $75 million dollars will go to construction of a 137,000-square foot film school, the other $100 million will go to the Universities endowment. This gift came hours after it was announced that Lucas would be the grand marshall of next years Rose Parade...despite all of George Lucas' achievements, maybe he's just always wanted to be in a parade, and now his dream has come true? I hope it didn't take a $175 million commitment to get this man a spot as the grand marshal. He is far more deserving than some of the folks they've given that honor to in the past. Dayum!! I plum went to the wrong film school. Grr! Can he donate that money to ME?! I need $175mil. Or at least, $1mil. That'll get me by for a while. I went to USC and he was like the school's idol. There wasn't one class where someone didn't mention him or tell a story about him. So, this is not surprising. Wow. That's quite the chunk of change. Good for the university. There should be more folks out there sharing their fortune for the sake of education. I'm glad all the money from those accursed last three Star Wars movies will go to good use. it's good to see alumi contributing to their alma mater.